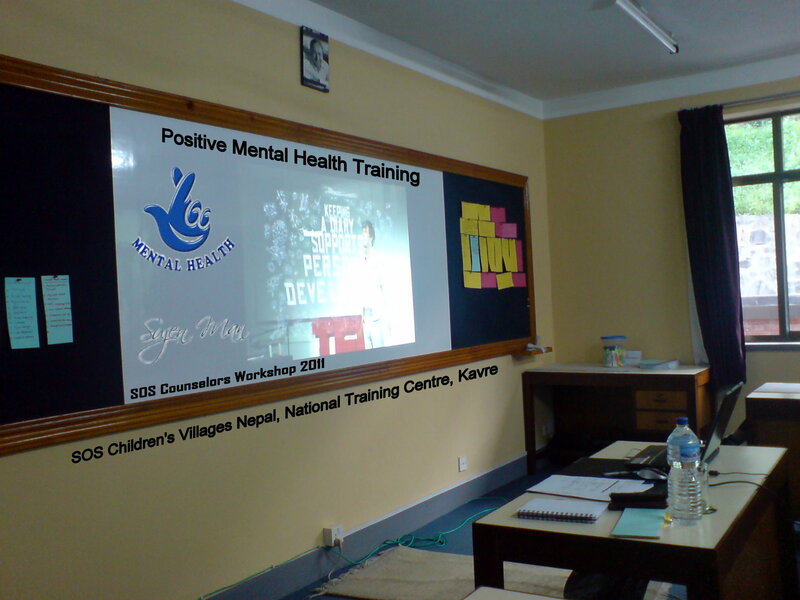 Facilitated one day workshop on Positive Mental Health on 20 October 2011 for the counselors at SOS Children’s Villages Nepal, National Training Centre, Kavre. 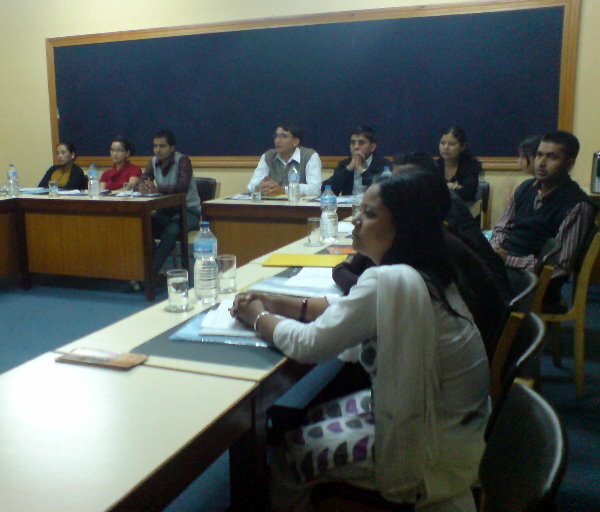 There were 18 participants working as counselors in various parts of the country in SOS villages. In the workshop, the participants were introduced to the key concepts of psychosocial well-being, positive mental health and positive psychology in the first half of the day. In the latter half of the day, the key concepts of Solution-Focused Therapy were introduced theoretically and Standard Format of First Session was demonstrated through the role play. The training was well-received by the participants and they expressed their gladness to learn the new technique of Solution-Focused Intervention which was introduced in Nepal with the help of Claudia Van Zuiden this year earlier in April. Contents were mostly theoretical including the research findings related to positive psychology. Some participants raised the doubts regarding some of the results which I think is good skepticism. 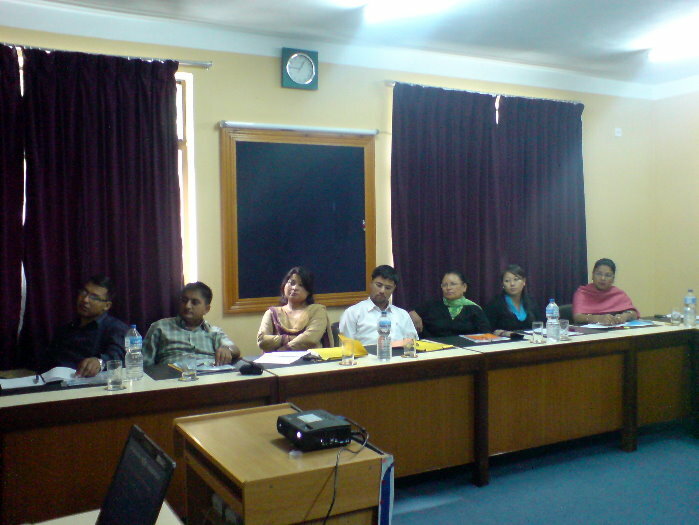 Psychological research related to positive psychology is yet to begin in Nepal. Some videos from ted.com were also shown which were related to positive psychology and design & happiness. The praiseworthy matter about SOS Children Villages is that they are already working with positive approach that includes family model which promotes positive mental health. In a home, 10 children stay together with a mother. All the children become brothers and sisters taking care of one another. Nabin sir took me around the village and I saw a very good nurturing environment for the children with very good physical facilities for shelter and play. They also have a school inside in which the children from outside community can also get admitted and study. This helps me in socialization of the children and their reintegration into the society when they grow up to become independent. I would like to thank Mr. Nabin Bajracharya, Assistant Director and psychologist in SOS Nepal, Mr. Udaya Aryal, director, SOS National Training Centre, Ranjan dai and all the participants. Dear Sujen, how wonderful to learn that you are sharing the Solution Focused Interventions Skills with the counselors of the SOS Children’s Village in Nepal and to know that what you shared was so well received. I am so glad to know that with your skills and knowledge in the psychology field, you will bring this application of the SFBT technique, which includes empowering clients, discussing the strenghts and skills they already have and asking certain positive skilled questions to the clients, further in your country. I would like to thank you for your continuous promotion of positive mental health and well-being to children and adults alike. Well done! Sujen, I am glad that you are moving towards your dream 🙂 keep it up and i am sure you will make the history in the field of positive psychology in Nepal. Thumbs Up! Thank you Sujen for sharing your experiences in your blog. Keep it up, and wishing you good luck for your better career in psychology. I am sure, your hard work and dedication in psychology help you to be pioneer psychologist.